The following is a guest post about paper organization from regular contributor, Morgan from Morganize with Me. I often wonder why I still have so much paper lying around! I find myself shuffling school papers, monthly bills, receipts, letters, you name it, even though I’ve tried to go digital wherever possible. And, what’s made me further realize how much of a struggle this is, and not only for myself, is seeing many of my clients struggle with their own paper piles. Processing, organizing, and filing paper is something we all still have to deal with in some form or another. And, it can be confusing and overwhelming to know which statements, receipts, documents, and/or bills you need to keep (file / save) or toss (recycle / shred). As I’ve worked to streamline our personal finances and also helped my clients to get their paperwork and files organized, I’ve come up with some general tips and a checklist. 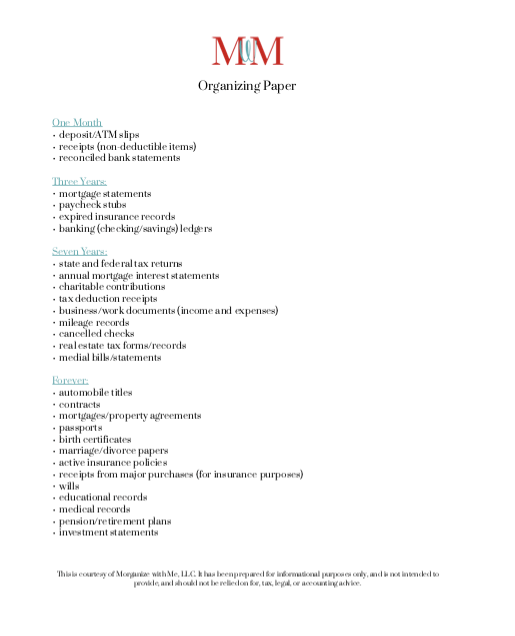 (You can get a copy of your own PDF Organizing Paper checklist below.) This guide will help you in knowing what you should keep and what you should toss. Where does your mail go when you get home? Where do you put things that need to be recycled, shredded, or filed? Where do you put outgoing mail and/or packages? Where do your bills go that are pending payment? Where do you put receipts that you need to verify against your bank statement? Setting up a command center or a communication station, whatever you want to call it, is a great first step. When you know where to put things and when you have a way to process things, you’ll be setting up a successful paper organization system. Most papers can be divided into four categories: one month, three years, seven years, and forever. Please note: this information has been prepared for informational purposes only, and is not intended to provide, and should not be relied on for, tax, legal, or accounting advice. Click here to download a FREE printable PDF copy of this guide. Keep for One Month: deposit/ATM slips, receipts (non-deductible items), and reconciled bank statements. Keep for Three Years: mortgage statements, paycheck stubs, expired insurance records, banking (checking/savings) ledgers. Keep for Seven Years: state/federal tax returns, annual mortgage interest statements, charitable contributions, banking (checking/savings) ledgers. Keep Forever: automobile titles, contracts, mortgages/property agreements, passports, birth certificates, marriage/divorce papers, active insurance policies, receipts from major purchases (for insurance purposes) wills, educational records, medical records, pension/retirement plans, investment statements. On a weekly or a bi-weekly basis, make it a habit to address your paper piles, or what are hopefully now your organized piles! 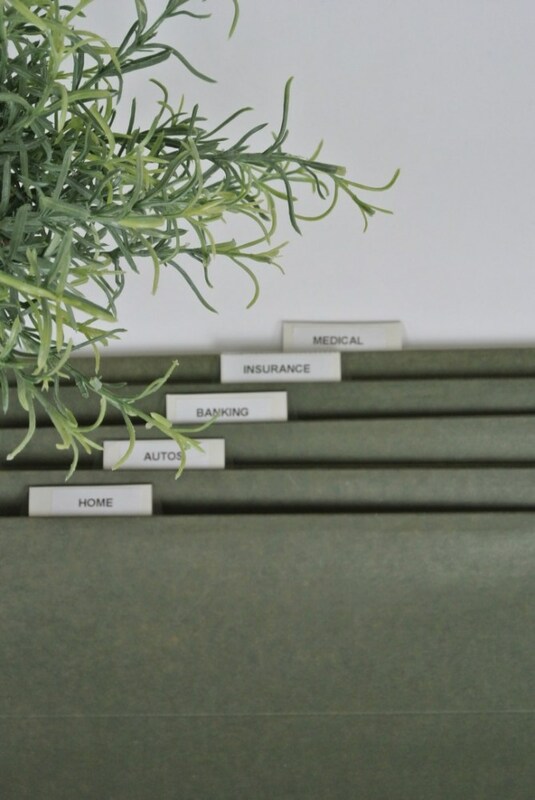 If you commit to going through your papers: paying your bills, filing things away, and even shredding things, on a regular schedule, your paper piles will remain manageable. Tidy files equal tidy finances! 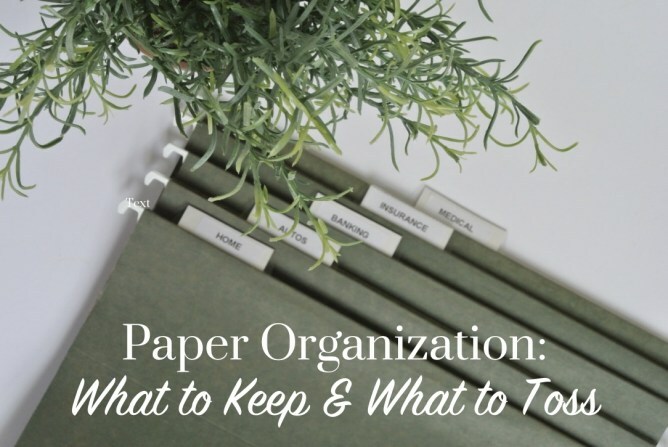 Try taking these three steps to help you with your paper organization. Make it a goal to tidy both your files and your finances. And, whenever possible opt for digital paper options as this will automatically make your paper piles shrink. In real life I am an accountant and have been been one for over 40 years. While the “official” IRS rule is to keep tax related items for 7 years, one should keep a copy of Federal, state, and local (if you have one) returns (on paper or scanned into the computer) forever. If they can only come after you for 7 years why keep permanently? The 7 years runs from when one filed one’s return. If the IRS or your state for some reason has no record of you filing a return (or loses their record or same) you will still liable after the 7 years to prove that you filed and paid the return. 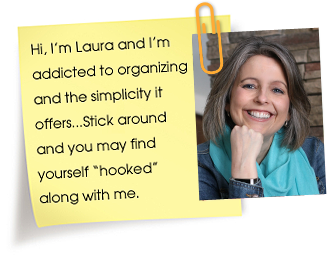 I have had this happen with clients – including my husband’s business, which I know was filed and paid, I did it for him – too many times over the decades. I have also had clients receive notices when their home state is having an amnesty period that they did not pay an amount due. When questioned that the 7 year period had run, the state insisted that it had started the matter within the 7 years and sent notices (unreceived) to the clients. If I did not keep a copy of my client’s returns permanently then the return would first have to be prepared again – if we could get all of the information to do so – and then we had to prove that the taxes were timely paid or they would owe penalties. It is easy to scan the returns into the computer along with any documents which paid the tax and keep it permanently and then one is covered if something arises. Thanks for sharing, this is good info! I personally know some IRS Agents so I now want to discuss this with them as well and get their input. Always better to be safe than sorry! I’m currently in the process of scanning paperwork to reduce the number of paper files I have. It’s all saved on a portable hard drive that will be backed up. As I reconcile bank statements, credit card statements, etc. – They are scanned and saved as PDF’s along with back up receipts if tangible items of value are purchased. I know the timeline list says to throw away bank statements after a month, but I’ve had to go back farther than a month before. You are on top of it! Love it! I think if a bank statement has been reconciled then it’s usually fine, but it all depends on your personal banking schedule etc. Also it is imperative to keep proof of student loan payments. I borrowed $150 to go to college in 1971 and have repaid it with interest three times! The government has taken my tax refund for the year amounting to thousands of dollars because I had either lost or tossed records. This happened once in each decade of the 1980’s, 1990’s, and 2000! The burden of proof you paid is all on you! I’m so sorry to hear that this happened to you. I agree, it’s always important to keep any and all documentation from any major purchase or a paid off account. I actually keep all receipts, statements and related – personal and our businesses’ for 10 years and some, such as our car related receipts for the time we have the car plus 10 years. I have 9 boxes in the closet and when the new year’s papers go in, the oldest goes out – 2017 will be stored shortly and 2008 will be shredded and discarded – I wait until after I finish our tax returns for the year before storing the newest year in case I need to access any papers they are still in the active and easily accessible files. We have actually found use for old receipts for reimbursment for costs we had. Our first van had a recall on the windshield motors about 6 years after we got it and we had paid – twice – to get them replaced in the interim $500 for the two times was nice bit of money towards bills. Other similar things have been over $1000. We had a Honda Pilot that we bought new and hated, so instead of keeping it for 10+ years as we normally due (our van is heading for 30 years) we traded it in on a Chevy. Well, the Honda had the bad airbags and a month ago I filled in the paperwork for it and we are entitled to a good bit money for that also. Even small amounts can add up – we used to have 2 landlines and when the phone company had to give money back for something or other related to long distance – we got that money also as we had the bills (as well as the checks that paid them). So many class action suits are brought these days and one needs the bills to participate. We would have been out all this money – that we can really use – if I had not held onto the receipts. Wow, that’s great that you had the specific receipts for those different situations. And it sounds like you have an excellent system in place for all things paper and filing. I definitely agree about keeping certain receipts (such as major purchases or car maintenance etc.) and I’ve also seen that this area tends to look a little different from person to person based on their household and spending habits.